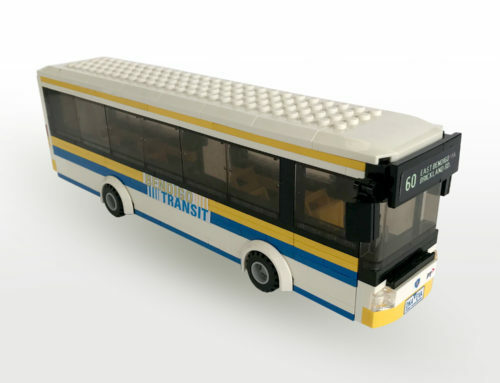 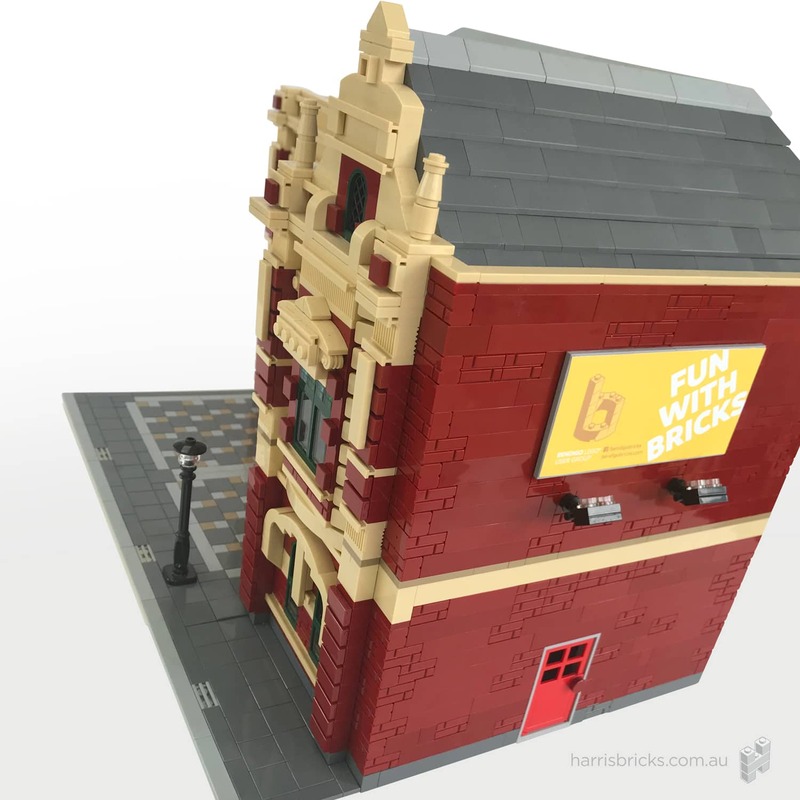 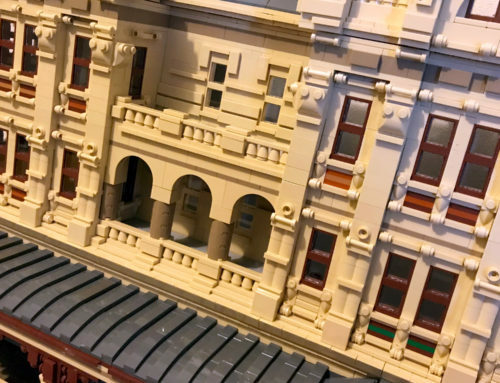 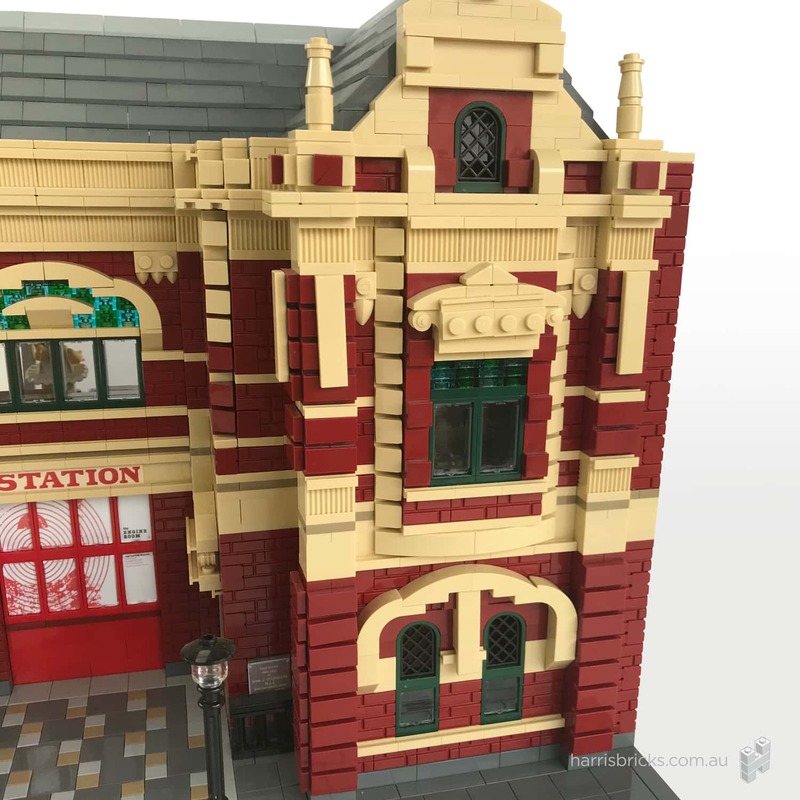 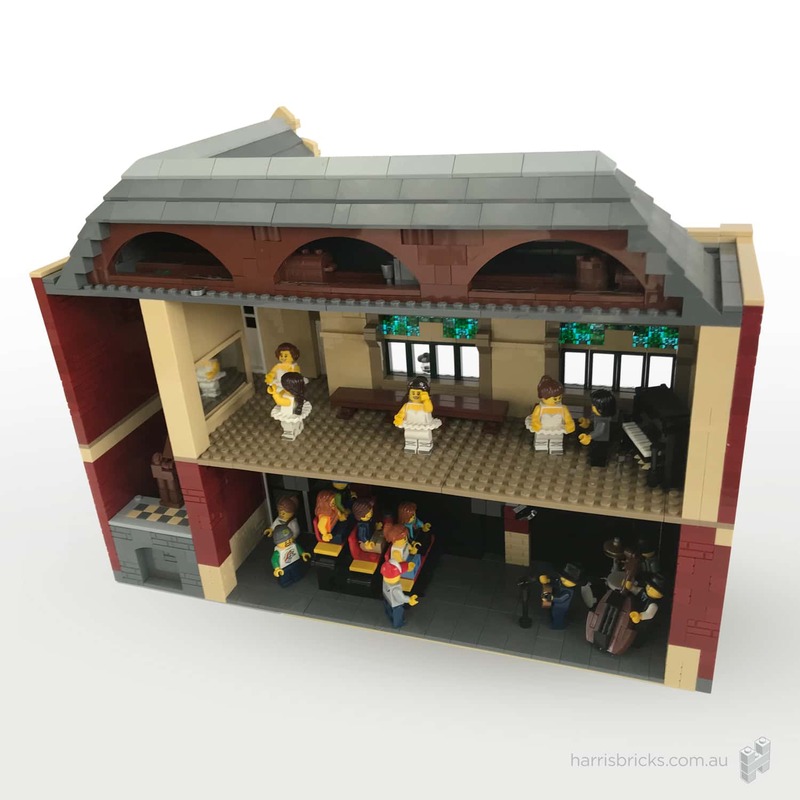 This MOC is a LEGO replica of the former Bendigo Fire Station that stands at the top of View Street in my home town of Bendigo, Victoria, Australia. 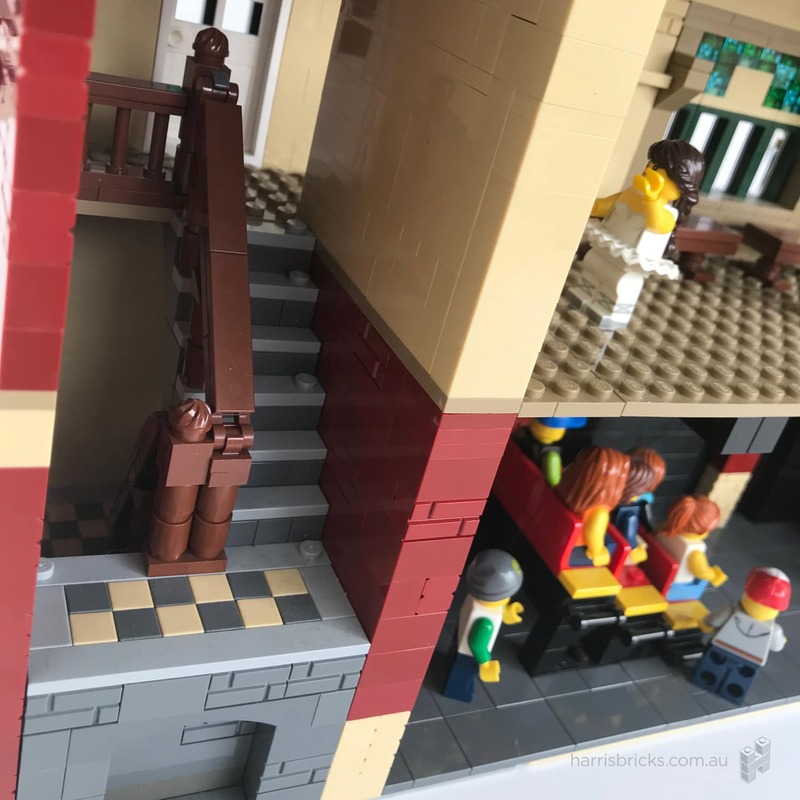 It is a beautiful two-storey brick-faced building with stucco detailing that has been a part of my life ever since I went to drawing classes there when I was 10 years old. 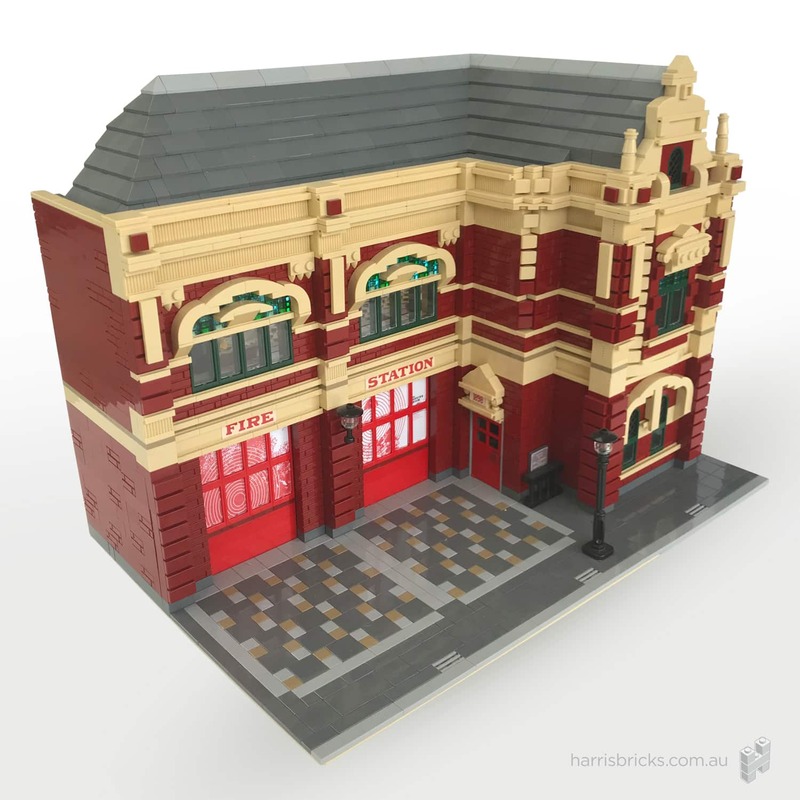 The building was designed by architect William Beebe, built during 1898-99 and is listed on the Victorian Heritage Register. 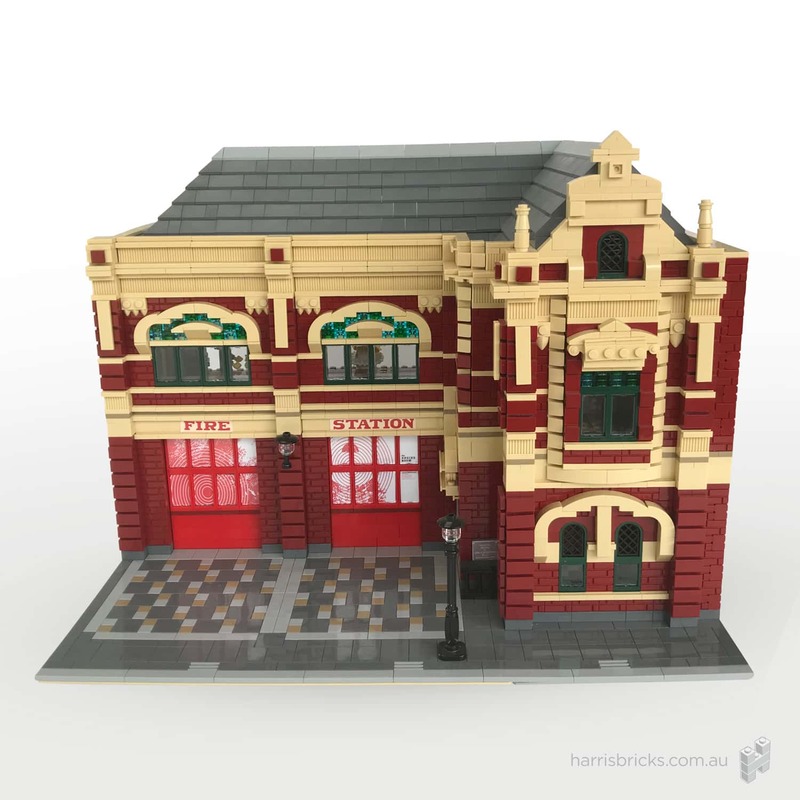 Originally built to be a fire station, over the course of its life it has had other uses. 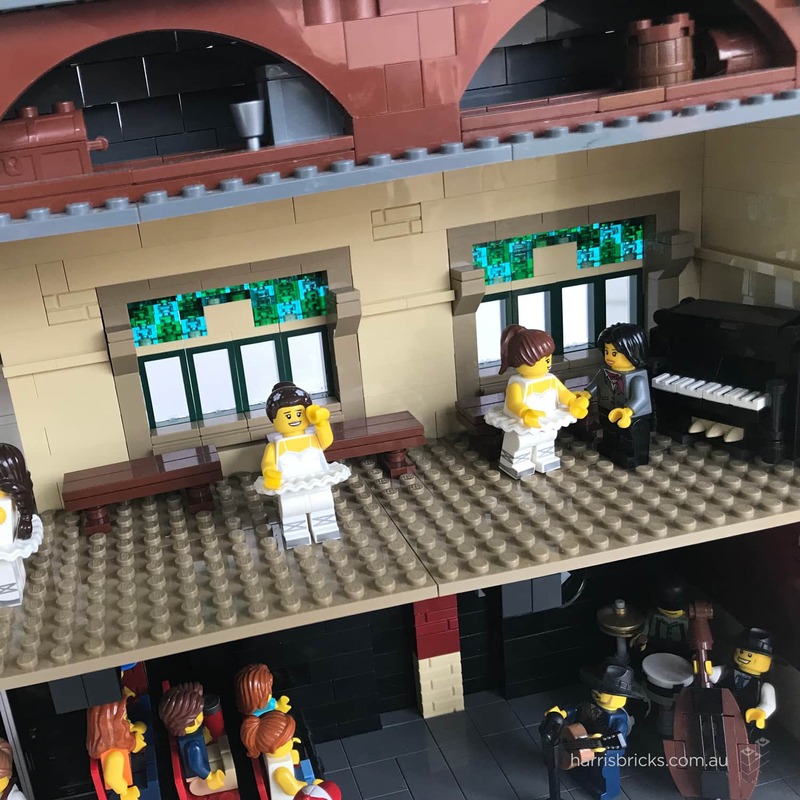 I have chosen to recreate the building as it serves today as a performance space called ‘The Engine Room‘ and I have recreated the theatre space downstairs as well as the rehearsal space upstairs. 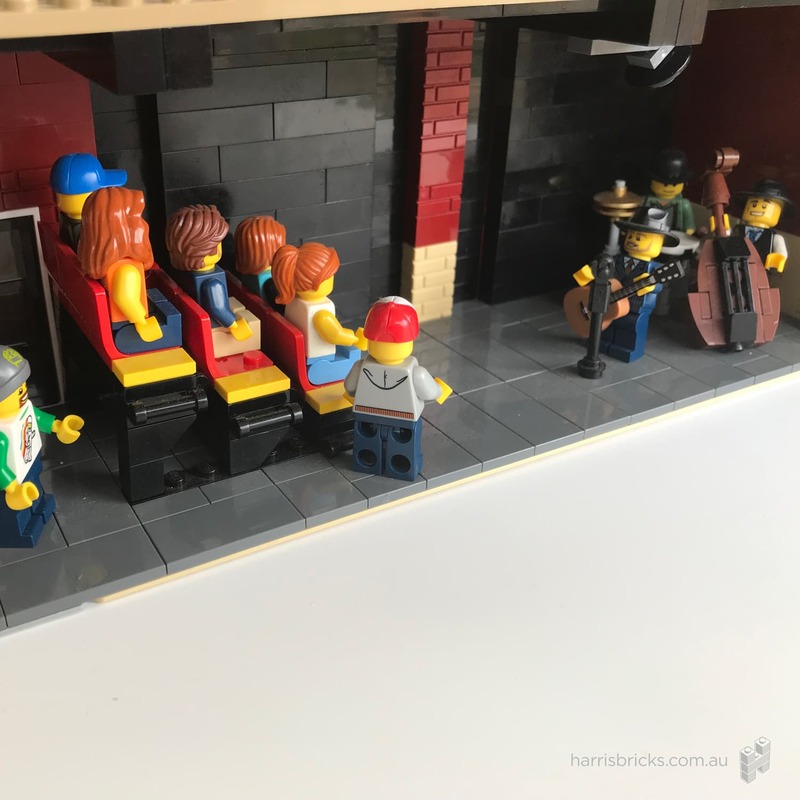 In the downstairs space I have depicted the theatre space during the annual Bendigo Blues & Roots Music Festival with a performance underway by local band Alawishus Jones & the Outright Lies and upstairs I have a ballet class about to commence. 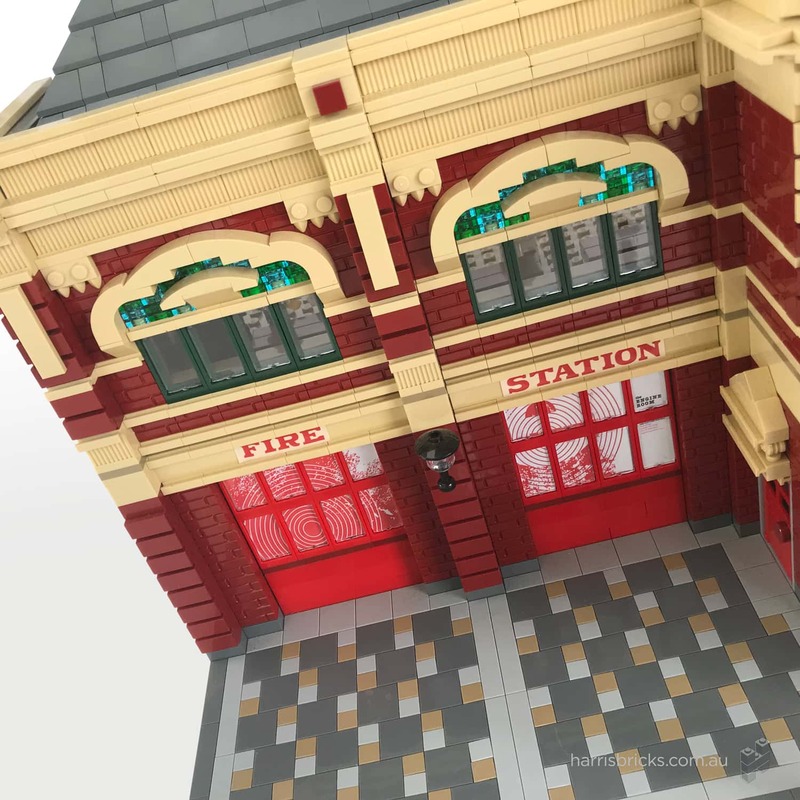 I also created some custom stickers for this MOC including the distinctive Fire Station lettering redrawn from the facade of the building, the date above the door, the window inlays, the dedication plaque, exit signs and a banner on the side of the building promoting our LUG.